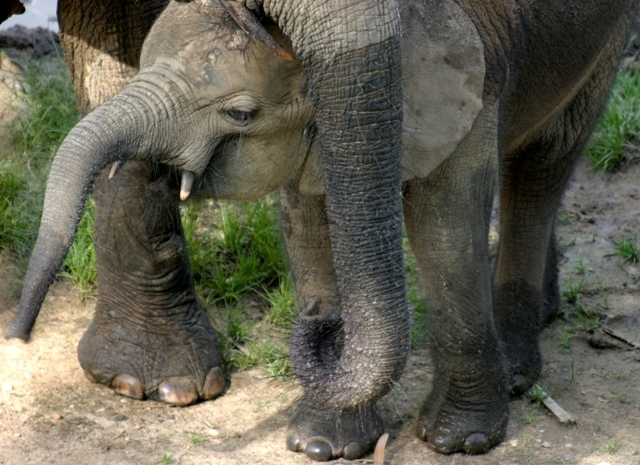 Key decision makers in the U.S. government and Congress are slowly coming to grasp the severity and magnitude of the current forest elephant poaching crisis in central Africa. A turning point may have been the reported slaughter in May of dozens of elephants at the Central African Republic's Dzanga Bai, an historic sanctuary for forest elephants at which WCS has been monitoring and protecting wildlife for 20 years. The killings received widespread media coverage and attention. 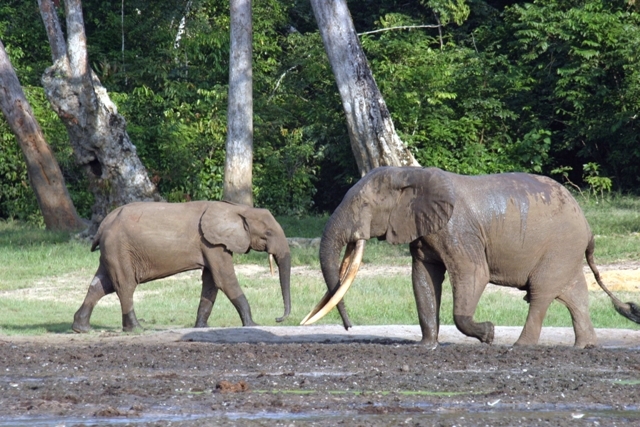 Just two months prior, WCS conservationists Fiona Maisels and Samantha Strindberg helped publish a study showing that a staggering 62 percent of forest elephants vanished from central Africa between 2002 and 2011. The numbers are devastating and it is clear that this is a situation that will not solve itself. In late May, I facilitated a discussion among U.S. government officials, Congressional staffers and representatives from the embassy of the Central African Republic. Congressman Ed Royce (R-CA) spoke at that event and asserted that something needed to be done about the problem, and that the U.S. needed to be the ones to do it. Rep. Royce issued a call to action for Congress to act now to halt the atrocities. Weeks later, he repeated this call on the floor of the House of Representatives during debate with House Armed Services Committee Chairman Howard McKeon (R-CA). While Congressman Royce spoke eloquently about the need to save elephants, he framed his message with a significant focus on the national security implications of the crisis. He spoke of the threat posed by armed militias and extremist groups who are using ivory smuggling to finance their other operations. He detailed the sophisticated means by which the groups are carrying out this undertaking, including helicopters, GPS equipment, night-vision goggles, and automatic weapons. "The black market for wildlife is now in the league of drug smuggling," said Royce. "The low risk and high reward of poaching makes it ideal for criminal groups, but also for extremist groups. Indeed, groups like the Lord's Resistance Army, which the U.S. military is helping Africans to track down, and the al Qaeda-linked al-Shabaab are reaping the benefits by brutally slaughtering these majestic, defenseless animals." 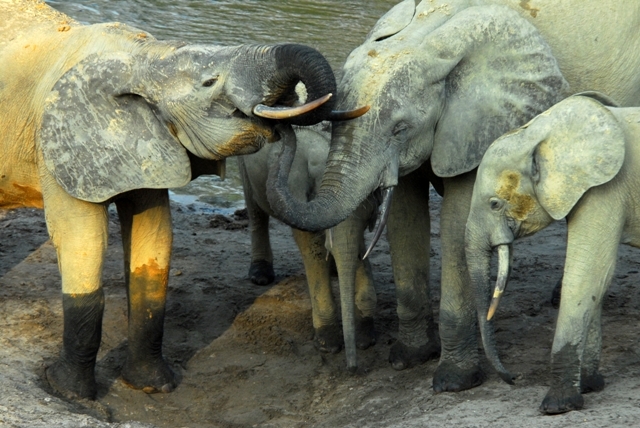 These developments show that the poaching crisis threatens more than wildlife. 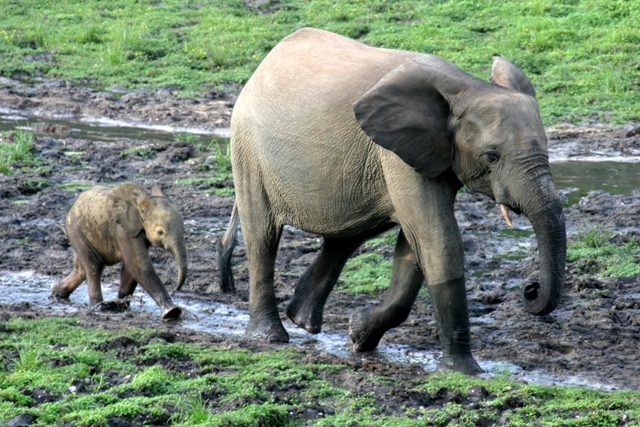 Security, diplomacy, development and conservation are all inextricably linked in this situation. Such a public statement of urgency about the elephant slaughter in Africa from an elected official, from either party, is bound to capture attention, and it was inspiring. Congressman Royce's place of leadership within the Republican caucus speaks to the bipartisan nature of this issue. Already, momentum is building. President Obama's July 1 issuance of an Executive Order aimed at protecting elephants and other wildlife trafficking targets is another step. Beyond allocating an additional $10 million to on-the-ground wildlife protection efforts, the order will convene a Presidential Task Force on Wildlife Trafficking that will bring together the highest levels of the Departments of State, Justice, and the Interior to address the issue. This is something WCS has called for in the past and inspires confidence that the administration is carefully considering the national security implications of this crisis. We in the conservation community, along with allies in the humanitarian and national security sectors, are looking for the U.S. to lead this fight. In Congressman Royce's words and in the first steps taken by the Obama Administration, we see reason for optimism. John F. Calvelli is Executive Vice President for Public Affairs at the Wildlife Conservation Society and Chair of the Executive Committee of the International Conservation Partnership (ICP), which is comprised of representatives from the major global U.S. conservation organizations.